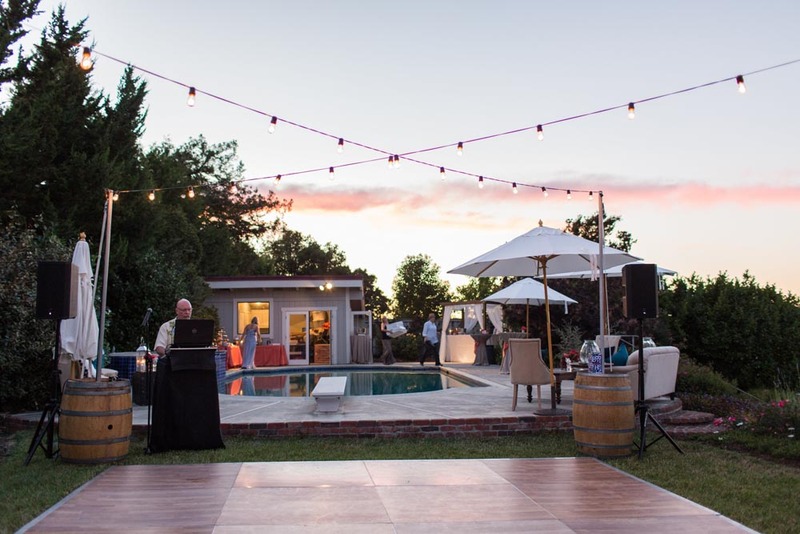 At least once a month we want to show you a recent event highlighting some of our new and favorite items in our inventory… so you can “experience Encore” in full, party-time effect!! So here is Bridget, the fabulous and oh-so-chic owner & president of Encore Events, and her beautiful mom, Margi. 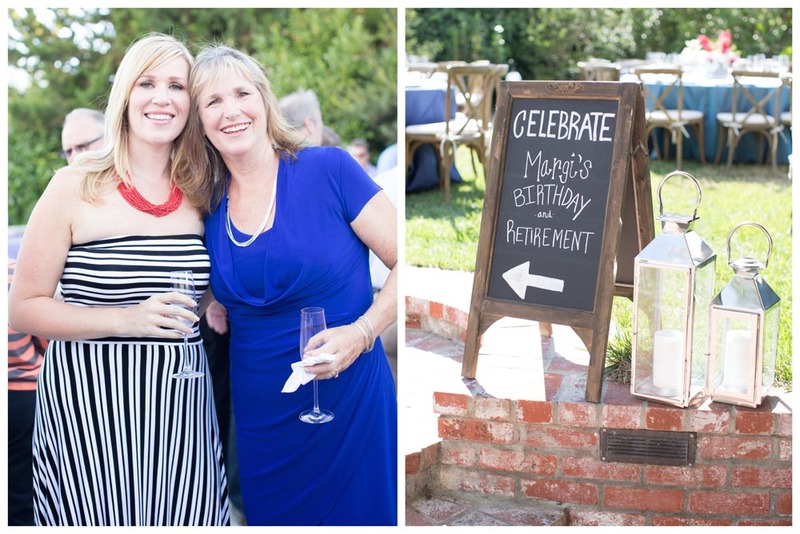 Today we are peeking in on Margi’s recent retirement and birthday party, thanks to the fabulous photography of Mallory Miya! 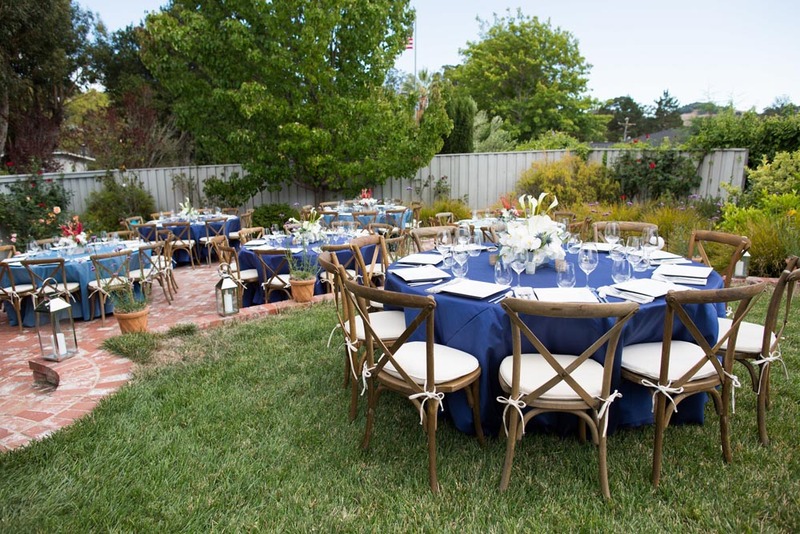 Location: Margi’s home in the hills of Petaluma’s west side. 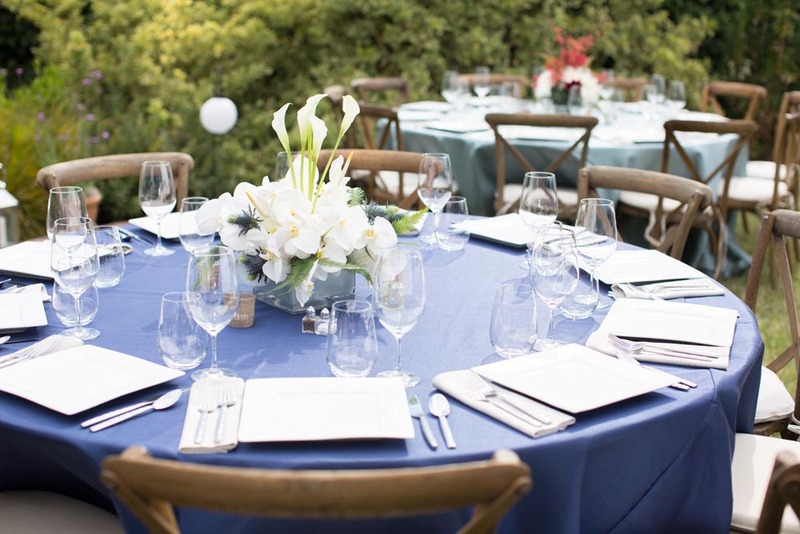 Gorgeous tables with our speciality linens in the following colors: Joli Ink, Joli French Blue and Topaz Ink. 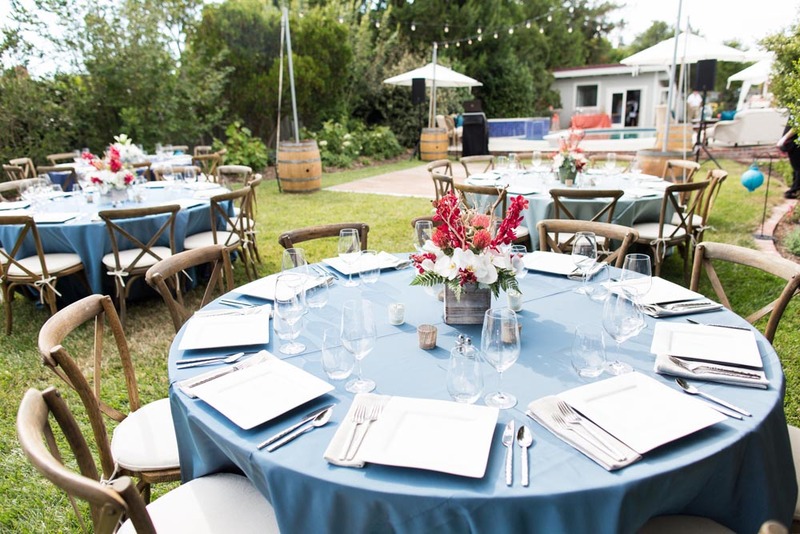 Dining tables were set with our white square china and hammered flatware. 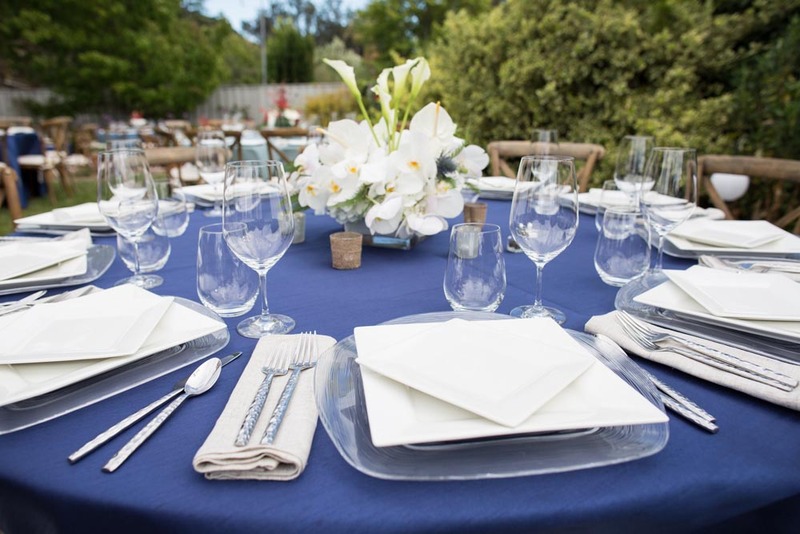 Natural linen napkins compliment the blue linens beautifully. 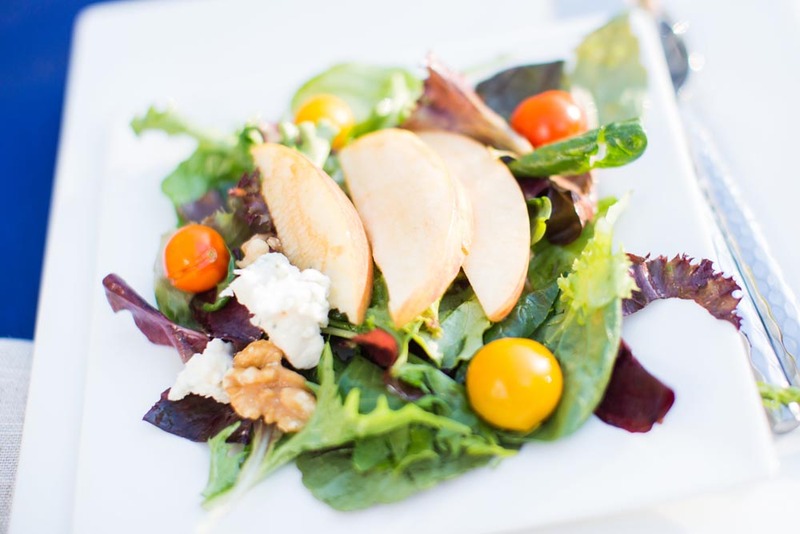 Also on the dining tables are our Reidel Bordeaux wine glass and schotts stemless wine used as the water glass. 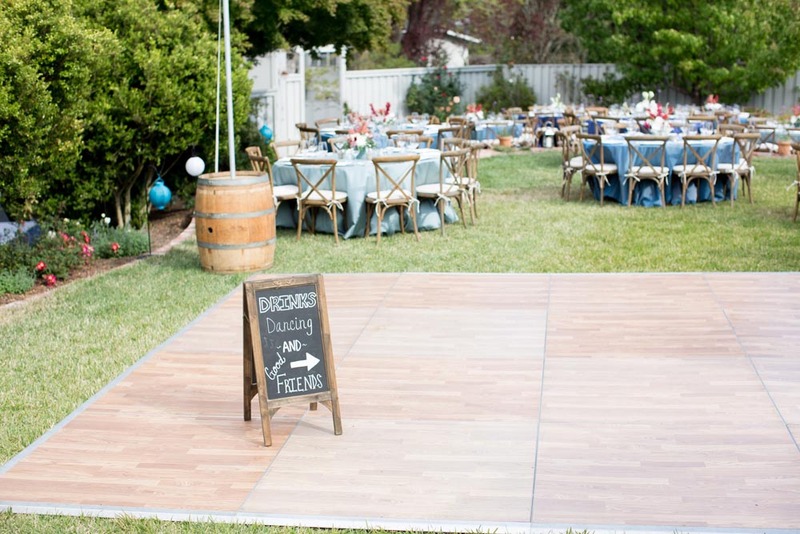 Hello there cute a-frame chalkboard! 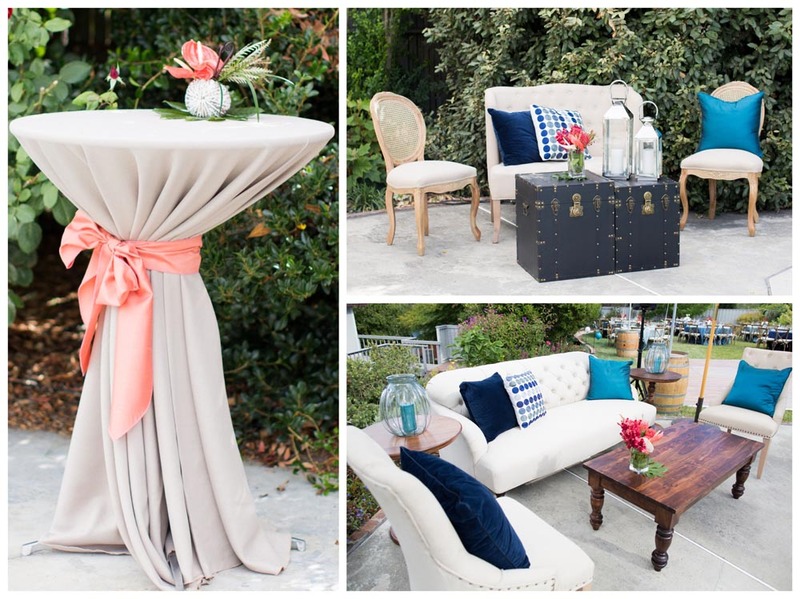 High cocktail table with Natural kahki linen and Joli Papaya sash. Our fabulous lounge furniture: Beige tufted couch, nailhead ivory chairs, mahogany coffee and accent tables, Ivory tufted love seat, ivory vintage dining chairs, trunks and navy, aqua and blue dot pillows. 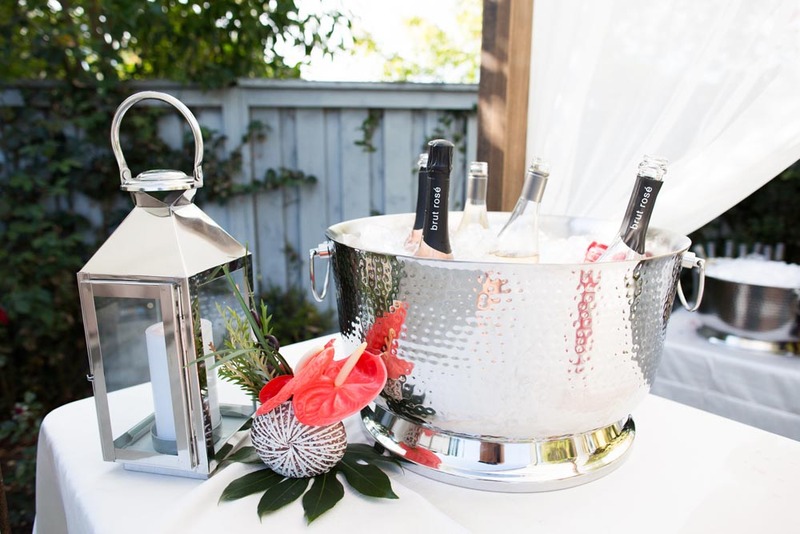 We love posh accents like our stainless lanterns and hammered beverage tub. 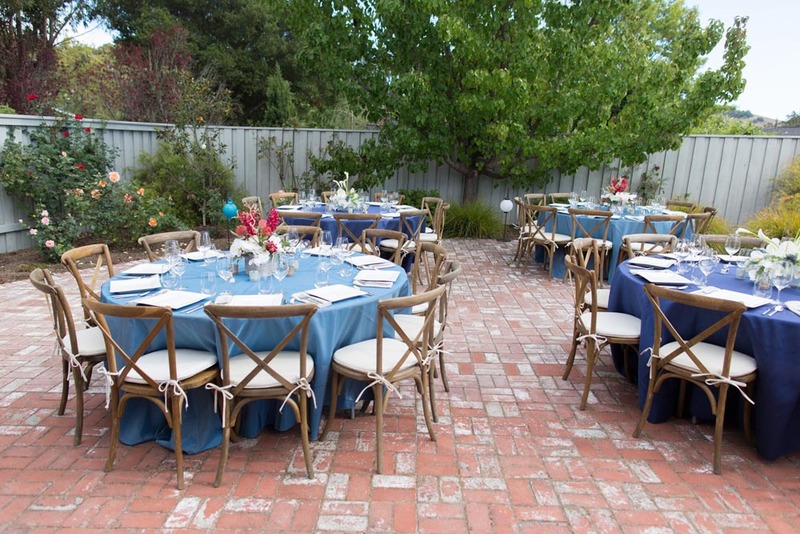 Bistro chairs and our new Shepherd’s hooks. 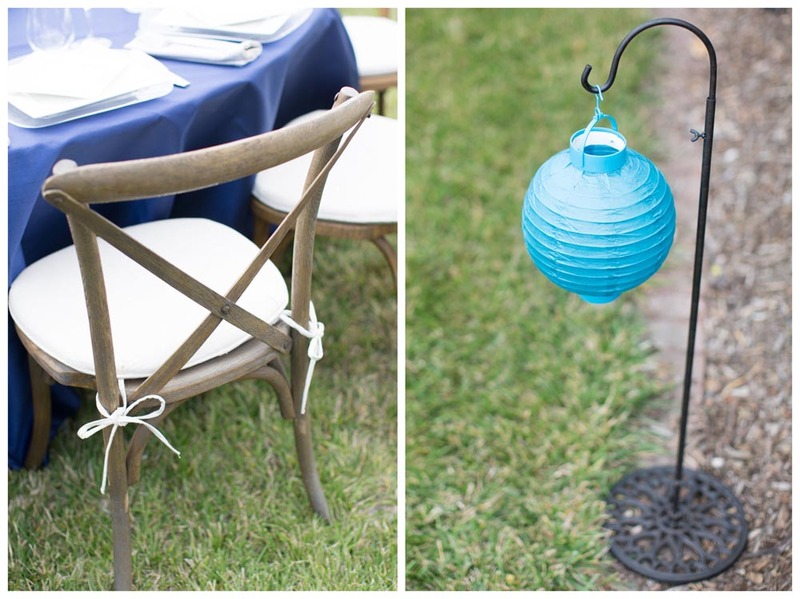 Great for hanging fun accents like paper lanterns and votives. 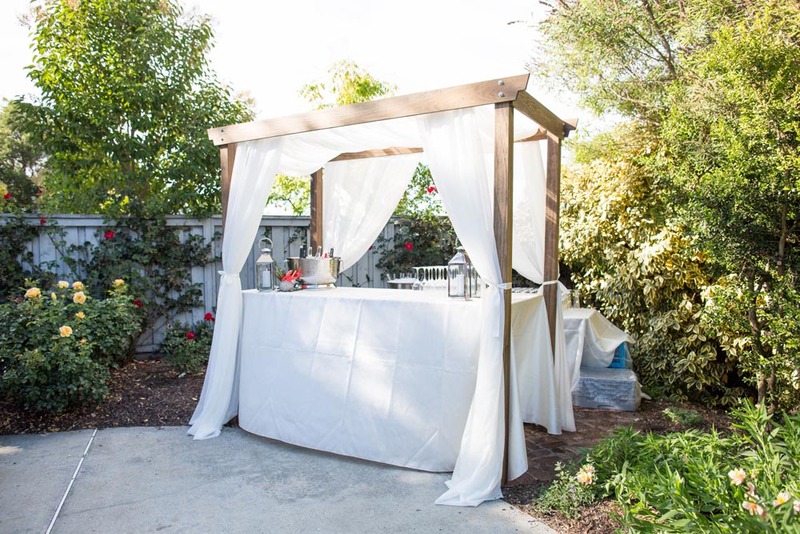 Check out how fabulous our new wood arbor with sheer white draping looks over the bar! 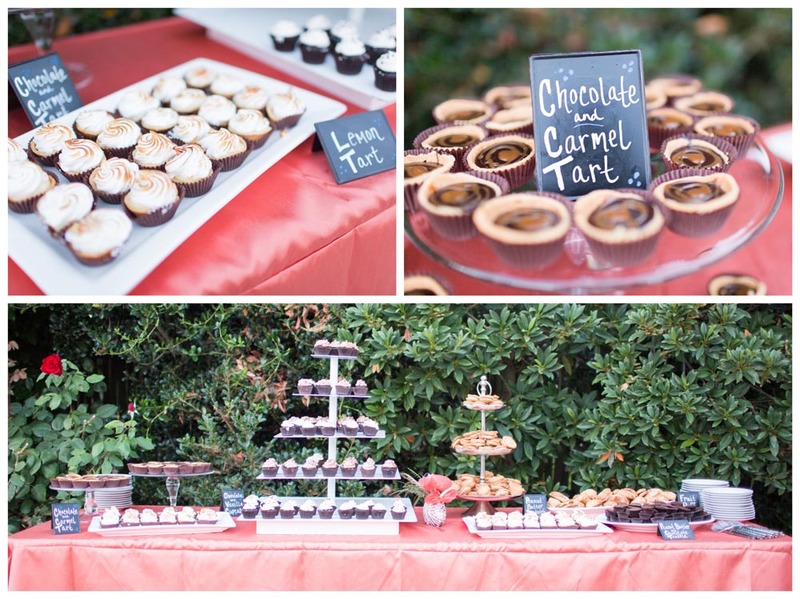 In love with this delicious looking dessert table!! 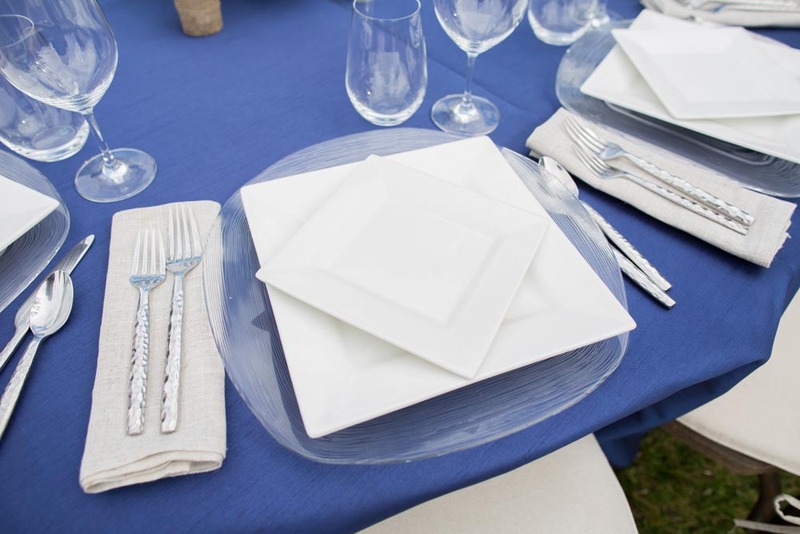 Joli Papaya linen and some of our favorite serving dishes. 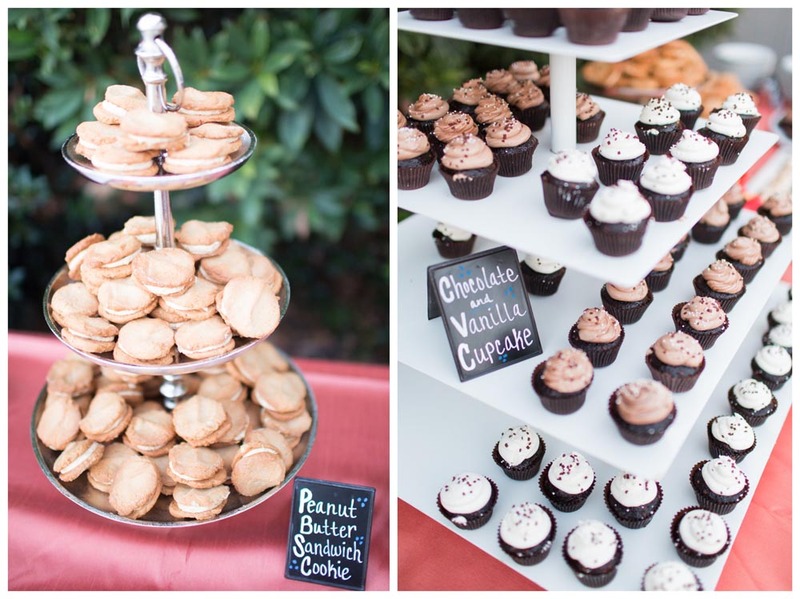 Including the big & beautiful cupcake stand! Sorry for making you hungry!! After dinner, Margi’s guests got crazy on our dance floor under the always fun festival lights!! Congratulations on your Retirement Margi!! And Happy Birthday! !